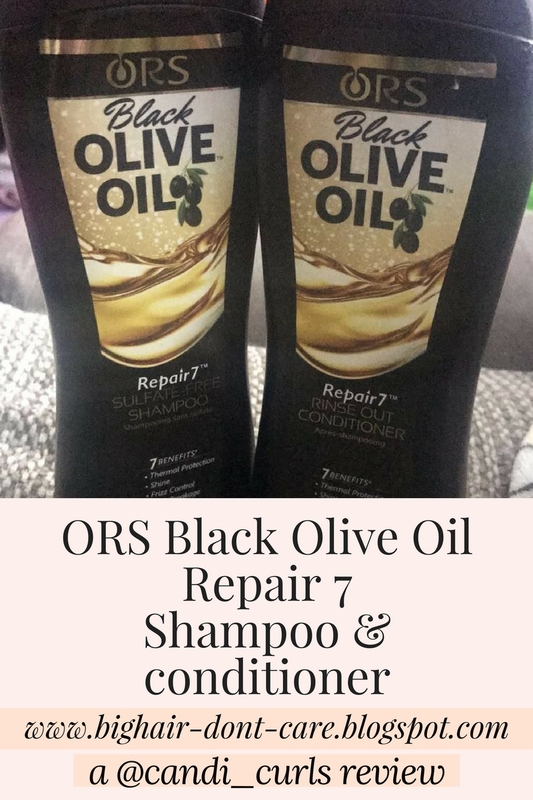 The black olive oil range is a new product line from one of my favourite hair brands, ORS. 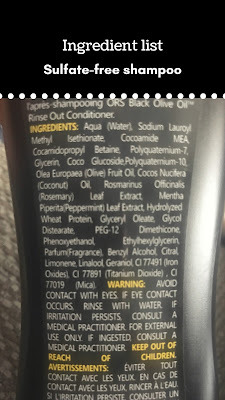 ORS are the ones who brought us the original Olive Oil sheen spray (we have all used this at some point), Curls unleashed, the monoi oil range you may have seen me using on instagram, and many many more (click here for a full list of the brands that come from the ORS family). A short video showing the full black olive oil range can be found here. The products i decided to try from the range are the Sulfate-free shampoo and the rinse out conditioner. Wet hair thoroughly. Apply a generous amount and work into a rich lather. Rinse hair and repeat as necessary. Rinse hair thoroughly and towel dry. Follow with the conditioner. After shampooing, apply a generous amount to hair. Use a wide tooth comb for thorough and even distribution starting at the ends of your hair and working to the scalp. Leave on hair for 3-5 minutes. Rinse thoroughly and towel dry. Style hair as usual. I know that alot of curlies follow the CG Method, and so of course i have a full ingredient list of both the products for you. I gotchu'. So i am already a huge fan of ORS, and i first saw this on the American page and i couldn't wait for it to be available in the UK. This is a brand who have been there throughout my natural hair journey, and never let me down, so i am always excited to try new things from them. The first product i had to try was the conditioner, cos we all know how much of this stuff we curlies go through. I was so happy to see it in my local superdrug store. Even better that they were so affordable at £4.99 (that's around $6.45 i think). I'm used to paying over £10 a conditioner so this is a huge bonus. The first thing that stuck me was the packaging of this product. Amongst the shelves in the aisle where most other products are brightly coloured, or try to do something special with the fonts, this black bottle with a gold picture, really stood out and caught my eye. I am so happy to see that brands like this are now becoming more readily available in stores, meaning we don't have to rely on online shopping to get hold of them, and paying shipping fees for most American products. Just look at this video i took last time i went into my local store here. I talk alot about the smell of products, as it is a huge factor in if i will use it or not. No one wants to use a product that doesn't have a nice smell, or one that smells to fragranced as we know it will be packed with bad ingredients. The smell of this one is amazing. 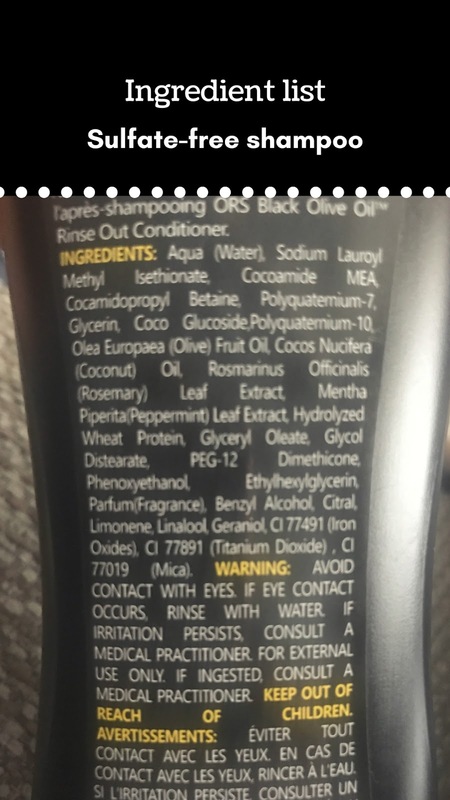 It has that coconutty, olive oily, almondy oil smell which is popular in curly hair products. I had to have this one. From the very first use i was in love with it. It is quite a lathery conditioner, which worried me at first as usually those types usually dry out my hair. This was different. As i wanted to get the most out of the first trial, i only did a co-wash on my hair. It left my hair feeling the softest it had in ages. It was as if i had deep conditioned my hair even though i hadn't. The slip this conditioner has is better than any i have tried before, so don't let the lather put you off. It provided my hair with the most moisture and super smooth. It has quickly become my favourite conditioner. The smell, as well as being so good, isn't over powering so while it lingers in your hair, it doesn't come off too strong. Due to how much i loved the conditioner, i was intrigued to try the shampoo. I try not to use shampoos every wash, instead using a shampoo just once a week or less, and only if i am going to be using a deep conditioner. This is because of how much they dry out my hair. I have used a shampoo by this brand before in the monoi oil range, and i liked it. This shampoo also promises to be anti-breakage as well so i was looking forward to it. Going into superdrug i got even more excited to see that it was actually on offer. Instead of paying £4.49 i ended up paying just £2.99 for this shampoo! Can you believe it grab yours now. This shampoo smells just as good as the conditioner, if not better. It is a sulfate-free shampoo which makes it CG friendly. 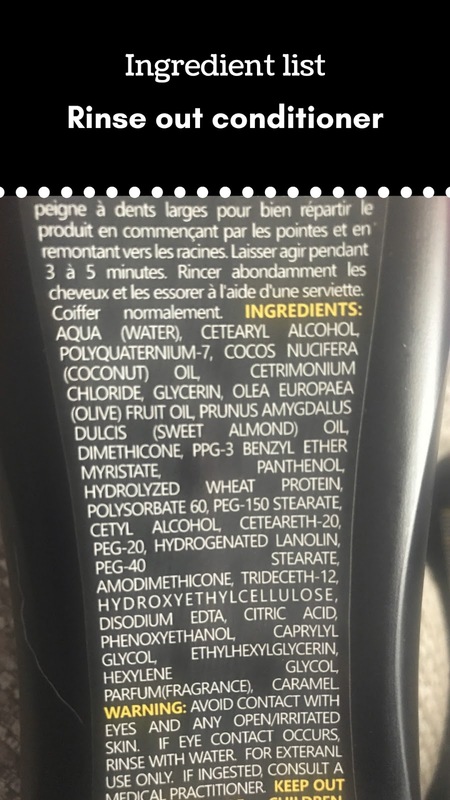 wait .... what does sulfates matter? Sulfates are detergents added to products which can be bad for our hair. Using a sulfate-free shampoo instead can be alot better for your hair. click here for information about sulfates. This shampoo has just as much slip as the conditioner which really surprised me. Even with shampoos by shea moisture and other ORS brands which are also sulfate free, i still found that as soon as i rinse the shampoo out, that soft feeling has gone from my hair. Not this one. I had to check the bottle to be sure i wasn't using the conditioner by mistake. It left my hair feeling so slippery, soft, and moisturised, that i even used it twice in my wash. Once with conditioner, once on its own. Not once did my hair have that straw feeling shampoos usually give my hair, so i would say that this is a shampoo that could be used alot more often. I still wouldn't use it everyday, but that's just me, some people like to shampoo more often that i do. I have been amazed at the results of this shampoo. It is by far the best! I honestly look forward to shampooing my hair with this one now. I didn't follow the instructions on the bottle completely and instead wet my hair, then applied the shampoo to my roots only. I then added the conditioner and then rinsed this off. Next i applied a little more of the shampoo this time still paying attention to my roots, i pulled the lather through to the ends and rinsed. I then applied more conditioner and combed this through my hair. I don't always wash my hair this way, but as i had been swimming and at a spa over the weekend, i wanted to make sure that it got a good clean, as chlorine was high in the hot tub and i needed my hair to be moisturised again. After my hair was washed, i towel dried it and applied some leave in conditioner and then let air dry. My hair was left shiner and softer than most wash days without the use of a deep conditioner. Would i reccomend them: To every single person i know! Ok so where can i get my hands on it? 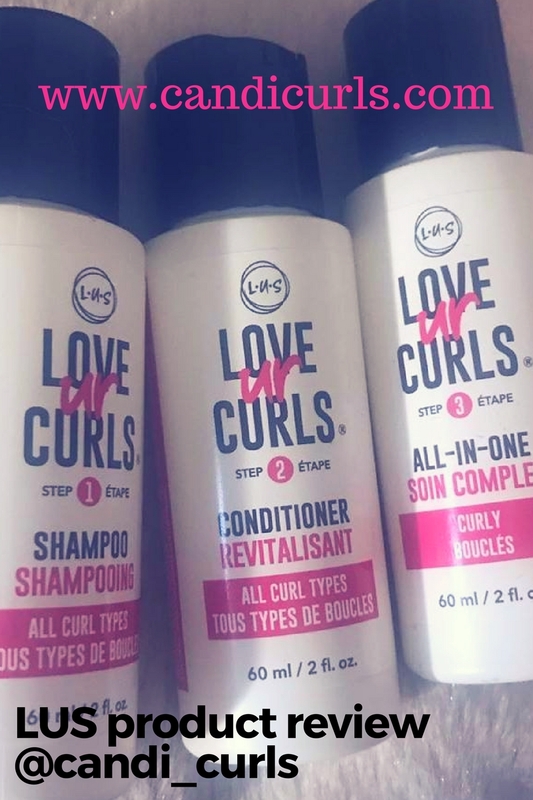 Uk Curlies like myself, take yourself down to superdrug or check out the website by clicking here. If you live in another country, check out the instagram page or webite and follow links to find your nearest supplier.